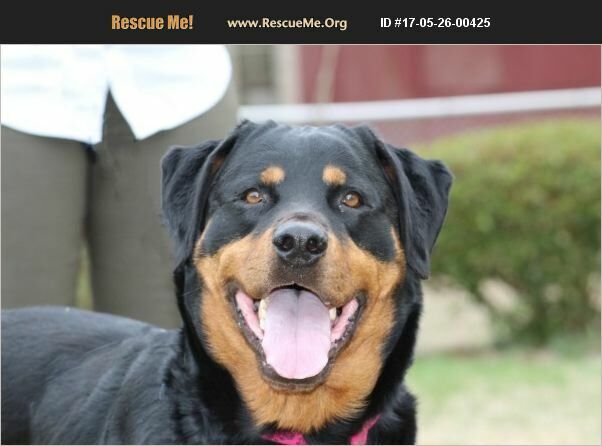 North Carolina Rottweiler Rescue View other Rottweilers for adoption. Hi! I'm Lola... I came to my new foster home not knowing what to expect. I was a little unsure at first, but my foster parents let me have my space and let me come to them. They were just as skeptical of me as I was of them. After I realized I wasn't as bad a doggie as I thought I was, I've opened up to them and gained their trust. I now love to be with one of them when I can be. Once I trust you, I love my belly and head rubbed!! I'll fall at your feet for you to rub my belly!! :) Oh yeah I also LOVE squeaky toys!! I'll play by myself and be just as content!! My foster parents have two doggies, and we sometimes go for walks together to get to know one another, but we haven't gotten to play together yet. We're taking baby steps in the right direction. I'm a big baby. I think I weigh 10lbs and not 100lbs!! I know basic commands. I like to play fetch sometimes too! When I see people or something that excites me I get all excited jumping around, nub waggling and sometimes I may bark just out of excitement, but I really don't mean anything by it. I'm just excited, and happy. Basically I'm just vocal. When I play with my toys I do a little growling. I walk OK on a leash but need a little bit more work on that. But hey, I'm willing to learn! I'm a very intelligent girl. I just need someone to be patient with me. We're working on seeing what I mingle well with so be patient and keep a look out on my profile for updates! If you think I could be a part of your family, and you can give me plenty of belly rubs, and oh yes BRUSHING!! Then fill out an adoption application. I'm not available for adoption yet.. But they say sometimes the best finish last!